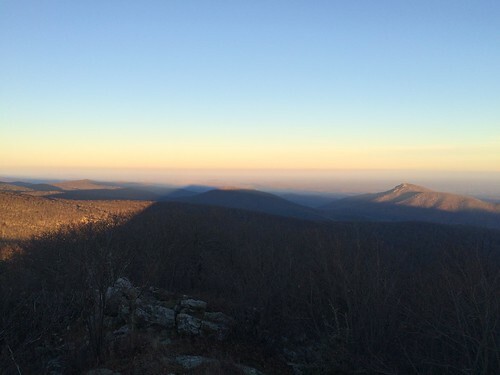 We hopped over to Shenandoah National Park* on Saturday for some hiking and scenic vistas. It was a bit late for Fall color but the views along Skyline Drive were still lovely. Along the way we visited Dark Hollow Falls: a short but steep hike down a gorge to an idyllic multilevel cascade; then had lunch and browsed the gift shop at Skyland Lodge; and visited Big Meadows, where an antlered buck chased after two does out on the grass. On the way out of the park we also stopped at Range View Overlook, with its unique view directly down the Blue Ridge. I enjoyed Shenandoah so much that I returned again on my Tuesday off to go up the highest peak in the park, Hawksbill Mountain. I went twice: once on the mild Upper Hawksbill Trail, and a second time on the much steeper, more strenuous Lower Hawksbill Gap Trail. That second visit to the summit was well worth the strain: it was sunset and the amber light across the valley made for spectacular views in every direction. The shadow of the mountain stretched to the east. 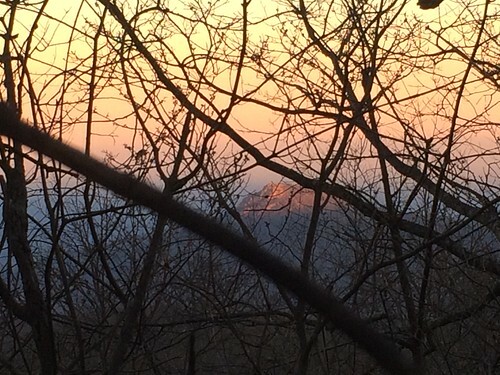 On the way down, I saw nearby Old Rag Mountain through the bare branches, catching the last light of sunset. One day I’d like to hike there too: apparently it’s a challenging all-day rock scramble. 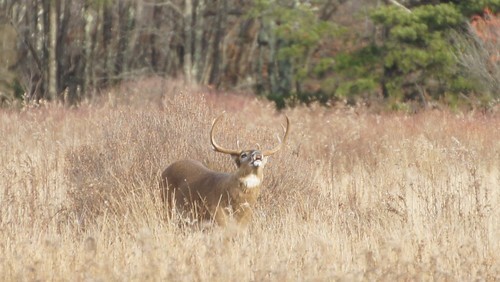 Full photo album from both days at Shenandoah National Park. My Glass videos of Day 1 at Dark Hollow Falls, Skyland Lodge, and Big Meadows, and Day 2 on Hawksbill Mountain and Big Meadows. 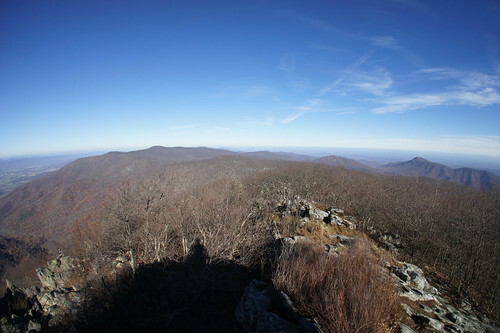 Skyline Drive Overlooks, a comprehensive list of views from every overlook on the Drive. 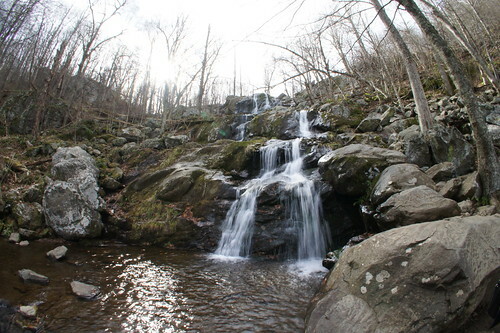 The Web Guide to Shenandoah National Park. 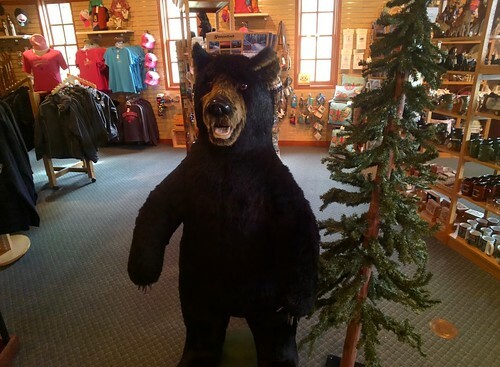 * Confusingly, the park is not in Shenandoah Valley, but overlooks it from the Blue Ridge Mountains, and is also not to be confused with Shenandoah River State Park across the valley — which is not on the main Shenandoah River itself but nestled between its north and south branches. I also labored under the mistaken impression that Skyline Drive was a national park unto itself, when really it’s just the main road through the park. I know better now.